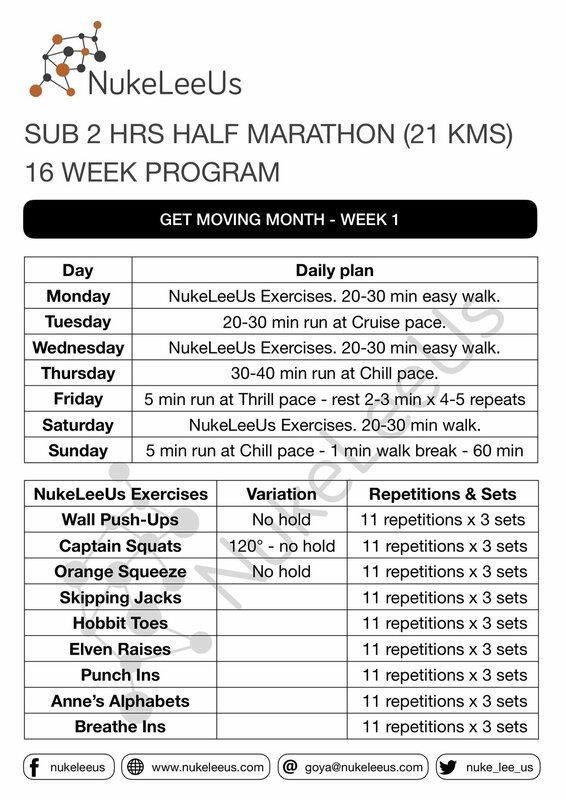 This is a weekly training plan for Hyderabad Marathon for Half Marathon (sub 2 hours). A weekly plan will be shared each week. Please follow the plan for the week. Here is the first week plan for all. For details of NukeLeeUs exercises click here. Do listen to running podcast episode one for Mindful Running as it'll make you to do justice to what you are capable of doing. For terms like Chill, Cruise and Thrill pace have been discussed in the podcast episode 2.